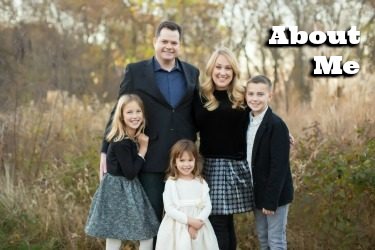 Seeking to go somewhere fabulous with the family for 4th of July weekend, but want to skip the excruciating holiday traffic? 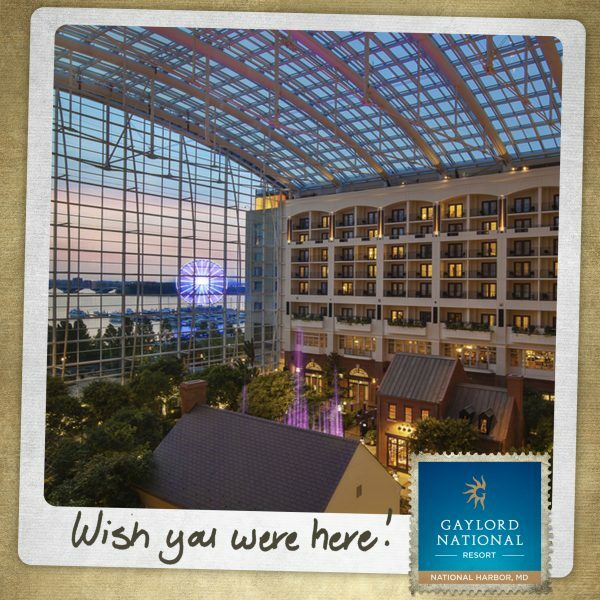 Head to our family’s go-to vacation spot right in the DMV, Gaylord National Resort, for a SummerFest staycation! Gaylord National Resort is offering reduced room rates June 30 through July 7, which allow you to book a night for as low as $129! 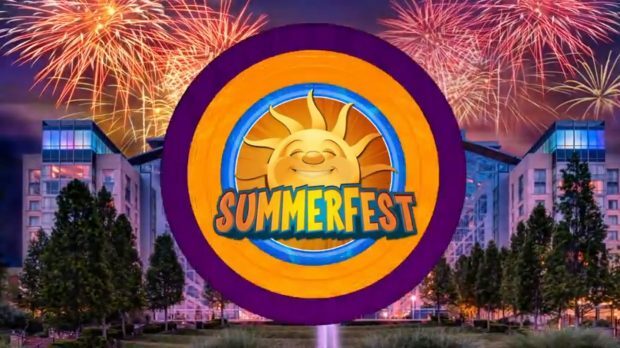 There is also the amazing SummerFest package that starts at $299 but include big savings that make that weekend getaway more affordable: a $100 resort credit to use for the on-site restaurants and spa, two tickets to The Capital Wheel and free parking! 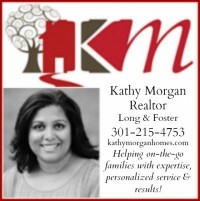 Aquafina Summer Movie Matinees: Overnight guests enjoy musical movie magic by the pool during Gaylord National’s Summer Movie Matinees featuring films that include Sing, National Treasure and Moana. 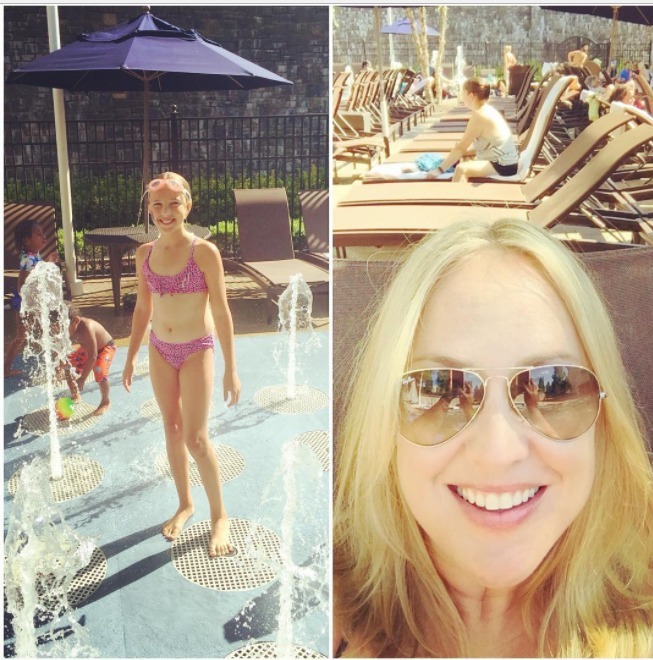 The indoor/outdoor pool and splash pad has the movies, kid-friendly pool and fountains for the kids, and a full bar and lots of lounge chairs for mom and dad. Music Mystery Scavenger Hunt: This free activity encourages guests to search for hidden musical notes throughout the Gaylord resort’s atrium. Upon finding all the notes, guests can decode a song title and enter to win an overnight stay. 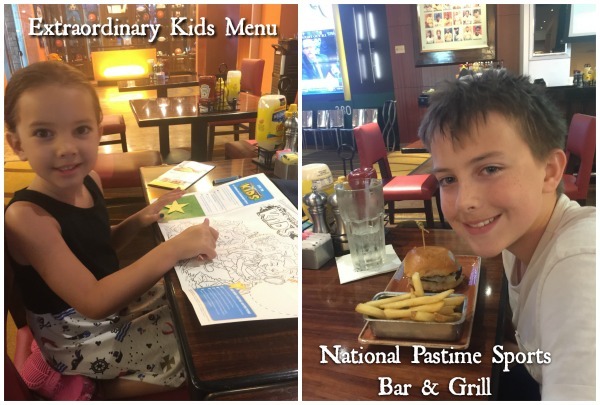 Awesome Restaurants: From a big brunch buffet to National Pastime Sports Bar & Grill with its Extraordinary Kids Menu, the dining at Gaylord National Resort is top notch for all ages. Americana: The nightly atrium laser light show at takes place in the resort’s garden atrium to celebrate the music of America throughout the ages. During the show, viewers experience samples of some of America’s favorite tunes choreographed with a laser light show and dancing water from the resorts signature fountain. 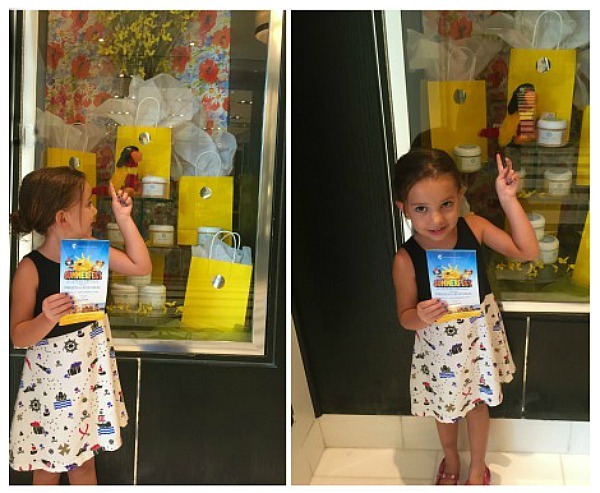 More Fun at National Harbor: There are so many fun activities for families at National Harbor — check out our favorites in this post! We also love the Urban Pirates National Harbor Cruise, check that link for our review. Sips and Sounds: Belvedere Lobby Bar on Friday July 1 – Visitors to Gaylord National can unwind with drinks, live music and breathtaking sunsets overlooking the Potomac River with music performances range from Jazz, Adult Contemporary, R&B and more. Silent Disco Party: Pose Rooftop Lounge, July 1, 2 and 3 – Resort guests can experience the coolest new way to enjoy music at the resort’s 18th floor rooftop lounge. Participants are given special headphones to wear and can select different music mixes created by a DJ to dance along to. This is for guests 21+. I want to go to summer fest!